Give us a glossy coffee table book, and instantly any surface becomes much more chic. If you haven’t heard, fall is unofficially coffee table book release season, and usually ushers in a multitude of new, gorgeous, fashion-focused books. We’ve compiled a list of 11 we’re most looking forward to getting our hands on. Check them out—you’re likely to find several stylish tomes that would be welcome additions on your coffee table. Scroll down to shop the most highly anticipated, fashionable coffee table books of fall 2014! 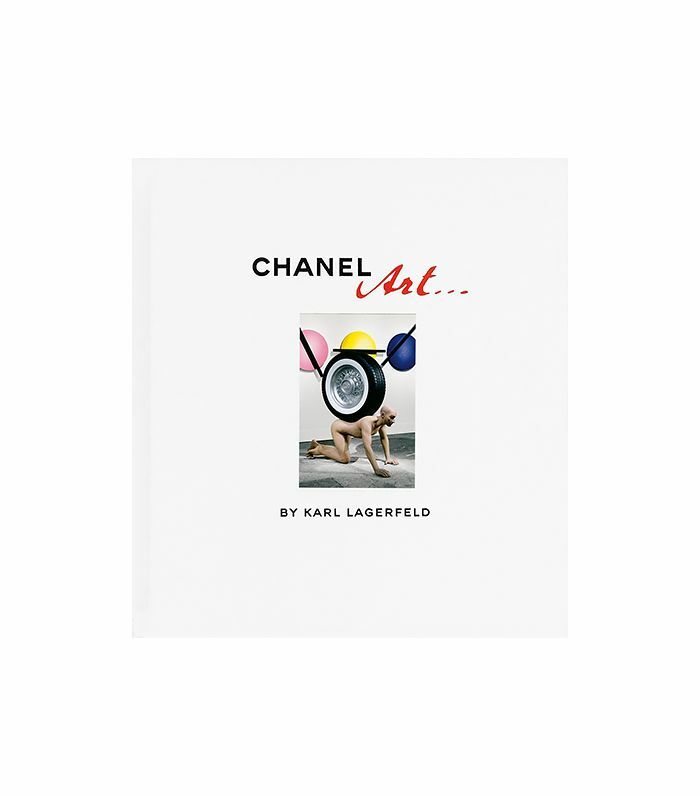 Karl Lagerfeld’s art gallery at Paris’ Grand Palais for Chanel’s S/S 14 fashion show is documented in his new book, featuring the Chanel-inspired art that he acquired for the show. Consider this the perfect book for fashion and art lovers alike. The gorgeous cover alone makes this perfume-centered book worth purchasing. Written by Burr, a former scent critic for the New York Times, this book takes the reader through 65 years of Christian Dior’s legendary fragrances. Feed your shoe obsession with this standout coffee table book that explores the extensive history and technology of footwear. Bonus: it includes contributions from Christian Louboutin and Sarah Jessica Parker, among others. Stunning, stylish portraits of Hollywood’s present-day starlets fill the pages of this Claiborne Swanson Frank book, with a foreword by Michael Kors. Swanson Frank photographed 60 young women for the old Hollywood-influenced book, including Dakota Johnson, Amber Heard, and Elisabeth Moss. Louis Vuitton eye candy awaits, courtesy of this lavish photography book. The brand’s iconic images, both editorial and advertorial, span from the ‘20s until now, and features esteemed photographers like Bruce Weber, Patrick Demarchelier, and Helmut Newton. This book, about how colour authority Pantone influences the fashion world, is illustrated via runway and archival photos. It also profiles the rich history of colour in fashion, and showcases popular hues throughout the years. The highly anticipated book, documenting everything (and we mean everything) you ever wanted to know about Karl Lagerfeld’s beloved cat, can finally be yours. The book’s feline photography comes courtesy of the designer himself. Our obsession with the Met Gala runs deep, and luckily, this new tome will tide us over until next May. It highlights The Metropolitan Museum of Art’s annual Costume Institute exhibitions of the 21st century, including photographs of exhibited objects and images from the Met’s annual opening-night galas. Contributors include Annie Leibovitz, Steven Meisel, and Grace Coddington. This stylish pink book features party hosting tips via bona fide tastemakers, such as Ivanka Trump and chef Alex Hitz. It’s illustrated with seating charts, menus, and guest lists from the expert host contributors. From the initial launch of her now-legendary wrap dress until now, the iconic designer’s career is detailed in this upcoming book. It’s richly illustrated by the photographs of Helmut Newton, Francesco Scavullo, and others, and also includes the artwork of Andy Warhol. Which of these stylish coffee table books are you considering adding to your collection? Tell us in the comments below!